Gareth Bale has been warned by Real Madrid manager Zinedine Zidane to find form soon in order to maintain his place in the starting lineup. Bale formed a terrific combination with Cristiano Ronaldo and Karim Benzema upfront, and since then, injuries have hit him hard, especially last season. His absence gave chances to Isco and Marco Asensio to stake a claim, and both players have shined for Los Blancos since then. According to a report in Spanish outlet Don Balon, the Frenchman has served a warning to the Welsh international to raise his game or face time on the bench. Asensio has been in hot form this season, and that has seen him being a favourite in the Spanish national team too. the youngster is now expected to play on a regular basis for Real, risking Bale’s opportunities. Zidane is keen to see consistency in Bale, and wants his performance levels to be topmost, as the Bernabeu outfit looks to defend a host of titles, including the La Liga and the Champions League. The 28-year-old has featured in all four of Real’s matches this season, and bagged a goal. 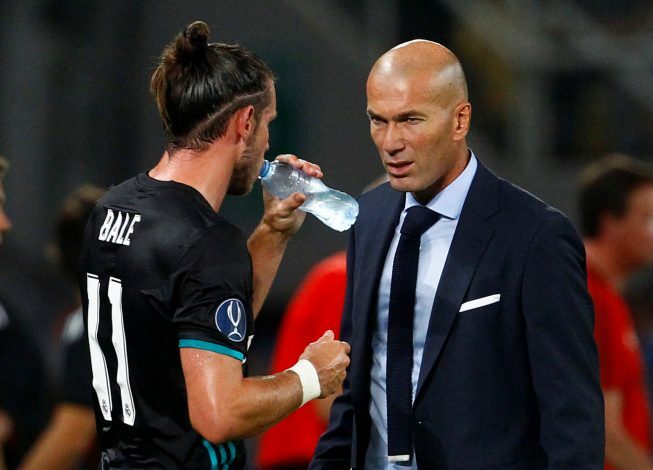 With his presence for national team Wales in the ongoing World Cup qualifiers, Bale will be eager to be on top of his game and keep Zidane interested. The versatile attacking player would want to replicate the form he showed in the 2013-14 season. If Bale doesn’t maintain his stature, Real could be tempted to let him leave next summer, if not in January. United will monitor his situation and keep an eye on him, and the Welshman could garner a whopping fee when the Old Trafford outfits lures him if the situation worsens in Spain.